Doctor Who season 10 has finally arrived. After quite a long break, the beloved BBC sci-fi series has returned with Peter Capaldi back as the Doctor. But that means the clock is officially winding down on his tenure with the series, as he is departing the role following this season. The announcement was made a few months ago that Peter Capaldi will be leaving the role of the Doctor behind, but now the actor has explained why it is he chose to leave. 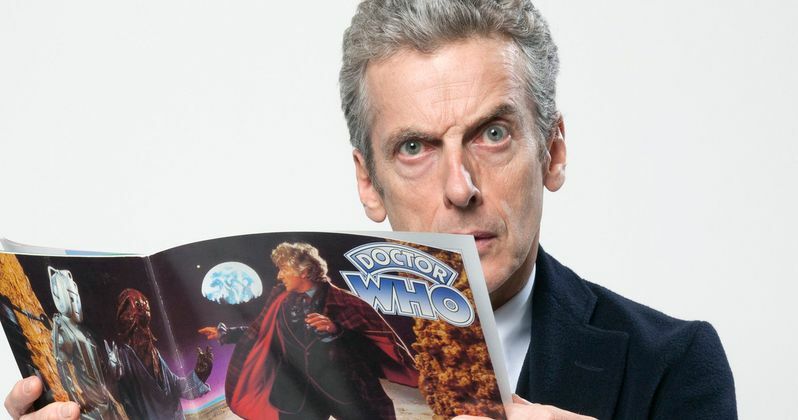 Peter Capaldi recently appeared on The Graham Norton Show and he was asked about Doctor Who season 10. Specifically, why it is he decided to bail on being a Time Lord. Fans will probably be happy to know that he is leaving because he wants to go out on top, at least from an acting perspective. Here is what he had to say about it. "Doctor Who is a great job, but it is a bit of a television factory. You do twelve episodes a year, and I just worried that I wouldn't be able to continue to do my best work. I like to be able to learn the lines and do some preparation and come in and give it some vigor and not hate it. I just figure, while you're enjoying it, leave." From the perspective of an actor, it is a little hard not to understand where he is coming from. Doctor Who is one of the longest-running shows in the history of television, even though there have been breaks here or there. But this latest iteration has been going strong for a good while now and, as he points out, it is something of a well-oiled machine. For the viewer, the Doctor is the most important part of that machine. But for Peter Capaldi, he is just a cog and that can probably run the risk of getting a bit repetitive if you do it for too long. And three seasons on Doctor Who is a pretty good run. It hasn't yet been revealed who will be taking over the role of the Time Lord after Doctor Who season 10, but some favorites have emerged. Early chatter had Skyfall star Ben Whishaw as the favorite, but there is also quite a bit of talk that the next Doctor Who could be played by a female, which would be the first time that has happened in the history of Doctor Who. The actress who has been pegged as the favorite, should that happen, is Doctor Strange star Tilda Swinton. Now that the show is back on the air, we may find out sooner rather than later who Peter Capaldi's replacement will be. Doctor Who season 10 will also be Steven Moffat's last as the showrunner. Come Doctor Who season 11, it will be Broadchurch showrunner Chris Chibnall in charge. It still hasn't been announced if the current companion Bill (Pearl Mackie), who happens to be the first openly gay companion in the history of the series, will be back next season, but if they do swap her out, Doctor Who will be looking quite a bit different next year. Doctor Who season 10 consists of 10 episodes, with the first episode having already aired on April 15. Doctor Who's next episode will air this Saturday on BBC. You can check out the interview clip for yourself below.